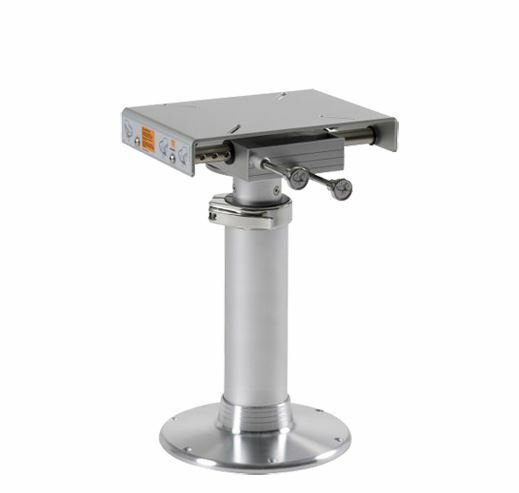 Solid seat pedestal with height adjustment by gas strut (400N). 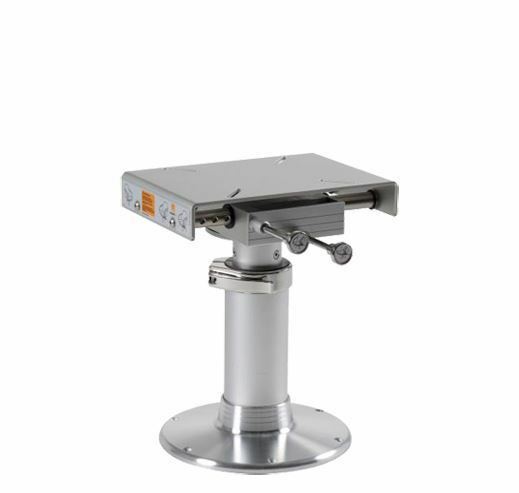 Rotates 360°, locks at any position. Aluminium tubes and base anodized (15-20 microns). Removable seat-support made of cast aluminium is powder-coated. Three standard heights, others upon request. 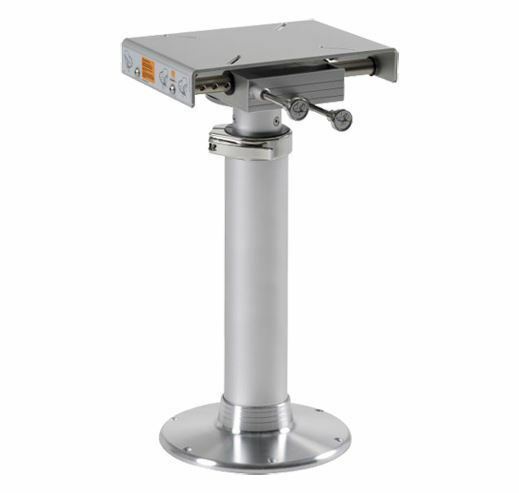 Pedestals meet and exceed American saftey guidelines ABYC/H31.